[By Kiah Kiean in George Town, Penang] Today is the birthday of one of the Penang Chinese favorite god "Tua Pek Kong", i did this 3 in 1 panorama sketch of Tua Pek Kong temple which located in King Street, George Town. The temple was full of people for the prayers. 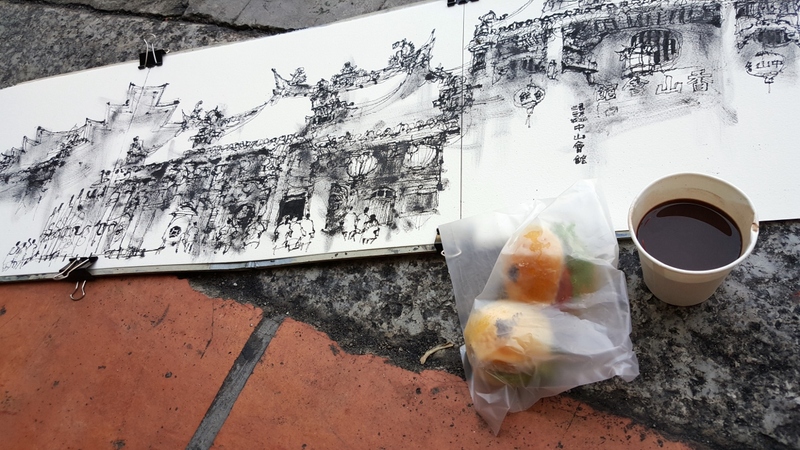 I sit in front of a corner shop house opposite the temple, when i almost finish my sketch, the owner of the house come out with 3 cups of hot chocolate and some mini burgers, passing to me and 2 other Sketchers nearby. I feel very thankful for the kindness of the shop house owner. Hot chocolate and mini burgers by the shop house owner. 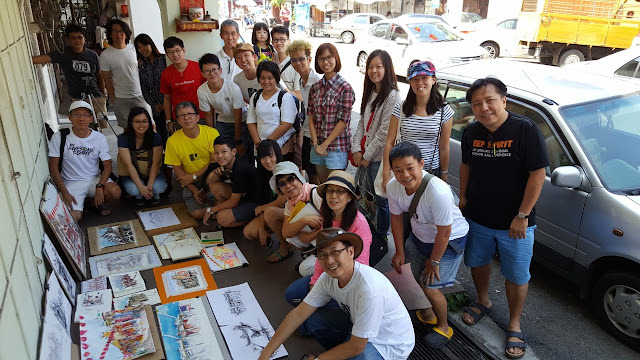 With Urban Sketchers Penang group.